This was a tough book to write. In the autumn of 2015, I finished my novel dealing with the Gunpowder Treason, In the Shadow of the Gallows, and within days, I began its sequel. For 'Gallows', there would be no book launch, no parties, no weekend getaway to celebrate the completion, no hiatus in my writing, because my husband was confined to the other half of the mechanical bed in our house in the Morongo Basin, and he was dying. And if at all possible, he wanted to pass on with me beside him. A commitment to togetherness was part of the deal we made when we married, and for us, it worked. He was my fourth husband, and I was his sixth wife, and when he died, we had been married thirty-five years. Obviously, we had learned some poignant lessons from our failures. Their implementation was not always easy., but it had been worthwhile. Even during the last weeks, we shared an enviable romance. I remember finalizing the cover of 'Gallows'. Chris had a very critical eye. I was the one with artistic talent, but he was the one with taste. So we cranked his side of the bed up so he could see the screen on my laptop, and with the aid of Picasso 3, we took the photo I had selected and ran it through numerous edits and enhancements until he asked me if he could play with my laptop and I passed it to him. There are always chores and duties associated with a death in the immediate family, but I was not new to them. I had buried my third husband and my first-born son within six months of one another during my third year of law school. 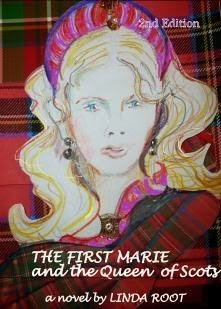 Both of my parents passed in the next decade, and my baby sister died of a brain tumor in 2008 while I was beginning my first and favorite novel, The First Marie and the Queen of Scots. She did not sleep well at the end and would email me at all hours, and if I was awake and writing, I would send her what I had produced that day. In many ways, her passing was more difficult than Chris's, because he was ready, and she was not. She missed the birth of the last six of her eight grandchildren. Hers was a short and unforeseen illness, but, Chris's last illness was not his first illness and, in spite of brief periods of reprieve, it lasted for ten years. 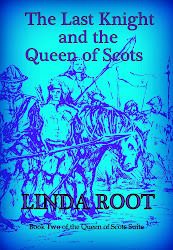 By 2013, he was entirely bed bound, and from there, he proofed my second novel, The Last Knight and the Queen of Scots, from his side of the bed as I wrote it. When he passed, my enthusiasm for writing also passed. 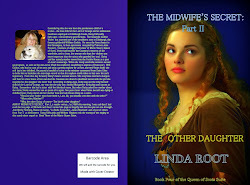 Those who have read the novels in my Legacy series know they have a large romantic component beginning with The Last Knight's Daughter when I introduced bastards Daisy Kirkcaldy to Will Hepburn and let them fall tumultuously in love. Perhaps I abandoned them because with Chris gone from my daily life, I was jealous. As soon as the wake was over and the cloisonne urn was on its shelf, I embarked upon other things. I traveled to places on my Bucket List: the Ferniehirst in my novels; Saint Giles Cathedral in Edinburgh where my hero Kirkcaldy worshipped and his sometimes friend Knox preached; the Brandenburg Gate which I had wanted to visit since 1958 when it entered a conversation I was having with the distinguished architect Richard Neutra at the Claremont Inn when his son and I were classmates at Pomona College; a trip to Philadelphia to attend my first Jewish wedding and to meet my special friend Jan Abraham, who I had met at the Marie Stuart Society. Chat group on Yahoo--all fulfilling experiences that assuaged my grief. But I did not write. I remodeled the interior of my house, installed over 500 feet of interior base moldings, installed ten interior door casings, repainted cabinets, patched drywall, but still, I did not write. My family dynamic changed as others moved on with their lives, and suddenly I was alone. Chris and I had closed out much of the world around us, and our own relationship was so intense and compelling that I hadn't noticed. Then came a family rift, the shock of the 2016 election, stagnant book sales and a minor financial reversal, and I was forced to face them without a soul mate, or a hero or a fellow traveler on the shortening road of my life. And then, I remembered my co-protagonists Will and Daisy whom I had left stranded in London in the midst of a rescue mission of a cleric whose beliefs were inapposite to all they stood for. During my nearly two year hiatus in my writing, I had forgotten why they'd bothered. Late this winter I reviewed what I had written in a single setting, knowing I either had to scrap my manuscript and stop fooling myself into thinking I was a writer, or I had to bring Will and Daisy home. I had no idea which. but it was too cold to paint ceilings or repair damaged walls. For want of a better alternative, I began to write myself out of my dilemma, and in doing so, I interjected hints of the romance missing from life into the story. 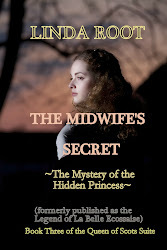 I am not a romance writer, If I were, I would have been thrilled with my creation, but the orthodox historian that is my alter ego had trouble dealing with it. After all. 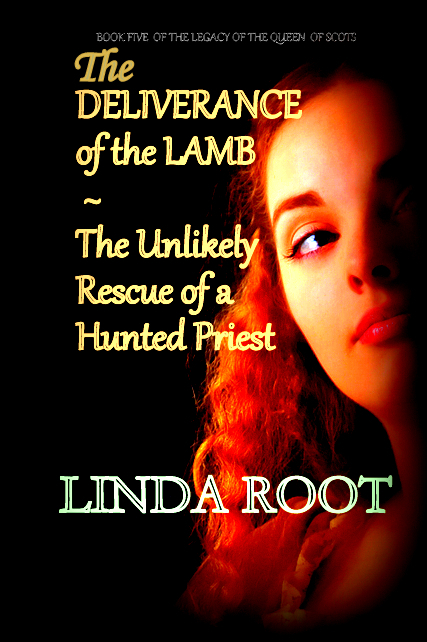 my fugitive was a well-known Jesuit, and in the words of one of my principal characters, 'the Church cannot tolerate another Luther.' Who was I, a lapsed Episcopalian turned agnostic, to even consider the Jesuit John Gerard might have had more than a desire to follow his colleagues into martyrdom keeping him in England? Out of frustration, I closed my Word processor and went back to Google's scholarly sub-site and my personal research library. The Jesuit's own work, The Autobiography of a Hunted Priest, skirted the tensions in his personal life with finesse, but then, his ultimate sponsor was the Vatican. Other sources suggested I may have uncovered a historical truth. Perhaps John Gerard did not wish to be rescued. I relaxed and let Daisy and Will solve the mystery, and they engaged Will Shakespeare and the notable Vaux family of Harrowden to help. My own life is neither better nor worse than it was six months ago. I still struggle with the American political climate. I still have walls to paint, flooring to repair, cabinets to resurface. I am working on a new Bucket List: I want to travel wherever I need to go to hear Yevgeny Sudbin play Rachmaninoff and I want to sit on the beach at Monterey one last time. I would like to visit the Opera House in Manaus and pretend I am Clarice Starling with emerald studs in my ears and Dr. Lechter at my side (a romance less likely that the one I shared with Chris, but not by much); but none of those are essential. This is the week of the Solstice. Tomorrow the sun will rise beyond a certain notch in the hills above the Combat Center at 29 Palms, and in November, behind a house on a ridge to the Southeast. At the end of the last millennium, while our son still lived with us, Chris had taken to getting us out of bed early and marching up a dirt trail that leads to the BLM land just beyond the ridge on the border of Joshua Tree National Park. One of the homeowners had set out a water trough on the wild side of his property and we could see the footprints of the goats and occasional Bighorn sheep that watered there. While it would be nice to walk that way again, it is an excursion best left to someone with a Jeep. A knee transplant is not on my Bucket List. More frequent visits from friends and family would be nice but I am neither housebound nor alone. From my patio at sunset, I can look beyond the hills where wild things roam and see all the way to the Borders of Early Modern Scotland. For details regarding books by Linda click on cover images. I was born in Cleveland. I Yahoo map my old house on Hillsboro Road. Grandfather's ghost would be delighted that the property now adjoins Endora Park. He was a gardener for the city. Growing up as the only protestant kid in a Catholic neighborhood in Cleveland prepared me for almost anything. Professionally, I loved being a trial lawyer, I loved prosecuting major crimes, and I loved relating to juries. I cried for the victims and I still do. On the day I retired I knew what I wanted to do and I am doing it!